There are a lot of books about the biographies (Seerat) of Prophets. 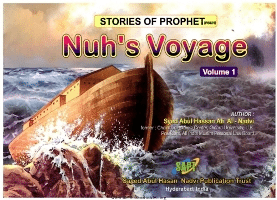 However the series of books written by Sheikh Abul Hassan Ali Nadwi on Nuh, Ibrahim, Yusuf and Salih (PBUH) are unique in that the author has emphasized and highlighted the message delivered by almost all one hundred and twenty four thousand Prophets (PBUH) That is, to accept, believe and worship alone the Almighty God. All the Prophets counseled their followers to worship God alone. But the people rejected the message of God despite knowing that the Prophets were pious, generous, intelligent, sincere and trust worthy. Slowly the descendents of Adam started worshiping and associating other things with Our Creator, the one true God.